Seth was away for a long time last week and part of this week. 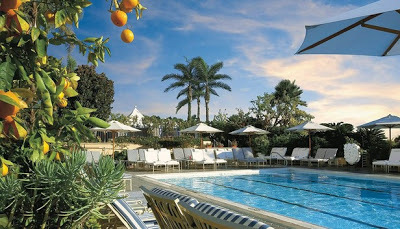 He was enjoying a week long stay at the Beverly Hills Four Season Hotel–company expense. (Sidenote: he arrived right after the SAG awards and saw a ton of celebrities). I guess he enjoyed it as much as he could since he was there on business. After his conference week, he flew up to Seattle and enjoyed some fresh powder at Whistler with his brother. Oh, how I miss snowboarding. I’m kicking myself for not taking up his offer for a little quick giveaway. He just forgot to mention to me that they had him sleeping at the Four Seasons. The post Four Seasons appeared first on Darling Darleen | A Lifestyle Design Blog .